We, as a Supplier, Exporter and Importer of Measuring Instruments offer the products made from first rate raw materials by the vendors we procure products from. 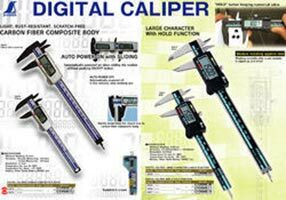 We are proficiently present a comprehensive range of Digital Caliper. We match our quality with the parameters and standards of quality set by the industry. It is low maintenance, high durable product strictly inspected and easy to use by any worker.